Joint tactical drills of the 201st Russian military base and Tajikistan's armed forces have kicked off at the mountain training range Lyaur near Dushanbe, the press service of the Russian Central Military District said on Tuesday. "Russian servicemen marched to the designated area of the Lyaur training range, where units of the 201st military base are taking part in joint tactical drills together with Tajikistan's servicemen. The participants in the maneuvers will practice tactical cooperation, repelling enemy attacks, blocking and destroying enemies. Grad multiple rocket launcher systems will be used the drills," the press service said. The drills will continue until March 22. 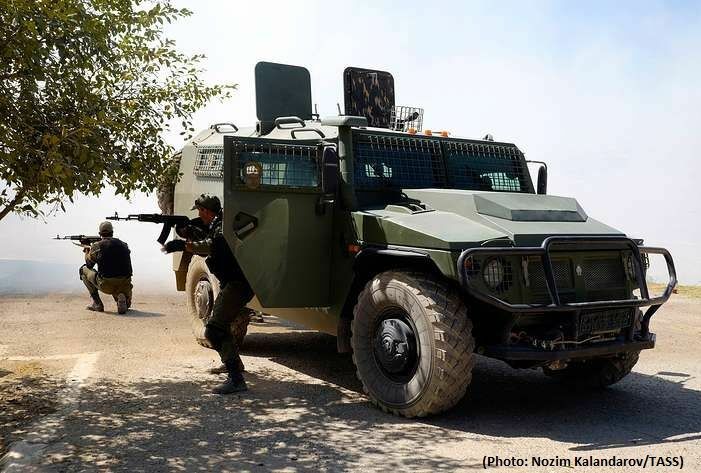 "Around 700 Russian servicemen and 150 Tajikistan's servicemen will take part in the drills, and over 150 units of military equipment will be used," the press service added.